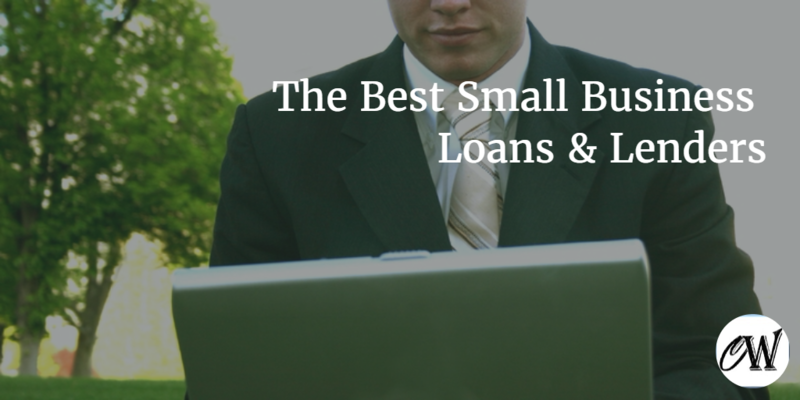 The Best Small Business Loans and Rates. Finding the capital to fuel your small business has never been easier. Learn where to look and find the best loans for your business. Now is the best time to find a small business loan since the 2008 subprime mortgage crisis. With better economic conditions this year and a huge increase in competition means lenders are willing to cut their lending rates for certain borrowers. Looking for the best small business loans for your business? Whether you’re just starting a business or need more capital to grow your current business, now may be one of the best times to get a small business loan. The economy is the best it’s been since the 2008 economic meltdown, allowing banks and other lending companies to lend more money. It can be difficult to receive a business loan at traditional brick-and-mortar banks. Many times traditional banks have a long application and approval process, and strict guidelines to even be approved. This can make getting a small business loan from a traditional bank difficult and at times stressful. Thankfully, traditional brick-and-mortar banks are not the only way to get a business loan anymore. Thanks to the internet, you can now apply and get approved for a loan directly from the convenience of your computer. Online lenders are not only becoming extremely popular places for businesses to receive loans, but their application and approval process is also much easier and quicker. Also, the loan terms and rates are comparable to those of traditional brick-and-mortar banks. Getting a loan with an online lender is faster and much more convenient. You’ll save time by not having to drive to a bank and just filling out the loan application on your computer, from anywhere. The approval process is much quicker too, many times businesses find out they’re approved in minutes. The most important and best advantage about going through an online lender — is you’ll receive your funding much quicker. Find the best financing and funding options available to you for your small business. Small business loans are critical to your success as an entrepreneur and business owner. No longer are traditional banks your only option for financing your business. From SBA loans to business lines of credit to invoice-based financing. Now you have many more funding options with online lenders and creditors. Find the business financing and lending package that is best for you and your business. If you tried getting your business loan from a traditional bank and got turned down, or just want a much faster and hassle free way to go about getting your loan, try an online lender. We’ve examined and put together a list of the best online lenders on the internet to make choosing the right lender for you quick and simple. Each of the above and the following lending companies specializes in lending working capital to small businesses. They do their best to make it as quick and painless as possible for businesses to get the loans they need. Lending Club is the largest peer-to-peer lender in the nation. Their original business platform was lending unsecured personal loans, and eventually began lending out small business loans in March, 2014. A business can request to borrow anywhere from $15,000 to $300,000, and choose the terms to repay the loan within one to five years. Their business loans have flexible terms and competitive interest rates, which currently range from 5.9% to 29.9%. Businesses that choose to borrow from the Lending Club need to have a minimum of $75,000 in revenue annually, and need to have been operational for at least two years. Who is Lending Club Good For? Lending Club is good for any established business looking to a small business loan, and wants the ability to set up flexible repayment options. Lending Club is the nation’s largest peer-to-peer lender, making them a good option for an established business looking for a loan up to $300,000. Who is Lending Club Not Good For? Lending Club wouldn’t be suitable for a business less than two years old or a business with less than $75,000 in annual revenue. Also, Lending Club is not available to residents in Idaho or Iowa (as of currently). If you choose to get a small business loan from Lending Club, you’d be going with the nation’s largest and one of the most established peer-to-peer lenders that offer small business loans. You can read the full Lending Club review here. Prosper, like Lending Club, is also a peer-to-peer lender. One particular difference is Prosper doesn’t have individual loans just for business, they do however offer personal loans that can be used for business purposes. This can make it easier for new and less established businesses to get a loan. Prosper offers loans from $2,000 to $35,000 and their rates range between 5.99% to 36.00% APR. You can get a three to five year loan. Loans can sometimes take as long as two weeks to receive. Who is Prosper Good For? Prosper is good for any new small business or business without a proven track record, that would have had a difficult if not impossible time trying to get a regular business loan. Prosper is one of the largest peer-to-peer lenders and a great place to get a loan for $35,000 or less. Who is Prosper Not Good For? Prosper wouldn’t be suitable for anyone looking for a traditional business loan or anyone who needed a loan greater than $35,000. It also wouldn’t be an ideal choice for individuals who don’t want to use their personal credit to get a loan. Since 1998, CAN Capital has been lending money to small businesses and since then has provided businesses with over $5 billion in funding. One particular thing that makes CAN Capital different from most other business lenders — is that it lends money to businesses based on the amount of sales and stability a company has, and puts less emphasis on a business’s credit. CAN Capital offers small to medium size business loans that range from $2,500 to $150,000 for single location businesses, and loans up to $250,000 for businesses with multiple locations. The terms of a loan can range anywhere from four months to two years. Also, funds can be received in as little as two business days. As far as the APR charged, it really depends on the industry your business is in, amount of time you been in business, your cash flow, and the amount of revenue your business takes in annually. To qualify for a loan with CAN Capital, your business must have a minimum of $4,500 in monthly revenue, been in operation for a least four months, and should have a minimum credit score of at least 550 (which is pretty low). One great feature with CAN Capital that no other lender does, is they reward borrowers for repaying their loans back early. They offer their customers a 6% discount to pay back their loan early. Paying off your loan early also means you’ll pay less in interest too. Who is CAN Capital Good For? CAN Capital has fewer eligibility requirements than other lenders, so it’s a great lending option for new businesses that are less than a year old or a business that has little credit history. They’re also a good choice for businesses with more than one or multiple locations, as they can receive larger amounts of funding with CAN Capital. CAN Capital would also be a good option to those who might want to pay back their loan early, since CAN Capital rewards early repayments with a 6% discount. Who is CAN Capital Not Good For? CAN Capital may be unsuitable for business looking for a loan with a longer duration, as the life of their loans tend to be shorter, a maximum of twenty-four months. Kabbage is a great lender for businesses that need capital instantly. For amounts up to $100,000, Kabbage can provide funding to businesses almost instantly. In order to apply for a loan, businesses must have a PayPal account or checking account to link, they can also link other business accounts as well → like eBay, Amazon, QuickBooks, Etsy, Sage, Yahoo, and Xero accounts. Unlike most lenders who use a business’s credit to determine loan eligibility, Kabbage instead looks at a business’s data which they receive and process instantly by linking the like businesses accounts listed above. Then by using that data, they’re then able to approve a business loan immediately! Kabbage offers business loans anywhere from $2,000 to $100,000 and businesses can take working capital as often as once per day. The life of a Kabbage loan is fairly short, only six months. The fees on a Kabbage loan are 1% to 12% of your select loan amount for the first two months, and 1% for each of the remaining four months. There are no fees for early repayment. Who is Kabbage Good For? Kabbage is good for any business that needs a loan immediately or in as little time as possible. It could also be good for small online businesses that otherwise wouldn’t meet the stricter guidelines of other lenders. Who is Kabbage Not Good For? Any business that wants a longer term loan, as Kabbage loans are only for a six month period. You can read the full Kabbage review here. Credibly was founded in 2010 and specializes in providing small business loans. They have a simple application process and if you meet the correct criteria you can be pre-qualify for a loan in seconds. Businesses can borrow $5,000 to $250,000 with Credibly and receive the funds within 48-hours. Loans range from six to 15 months. Credibly doesn’t specify its APR rates until the pre-qualifying application is approved. They do however charge a 2.5% origination fee to process the application. Who is Credibly Good For? Credibly might be a good fit for business needing a loan for 15 months or less. Who is Credibly Not Good For? Credible probably wouldn’t be suitable for a business looking for a loan longer than 15 months. Balboa Capital has been in operation since 1988, and provides funding to small businesses across the country. Balboa Capital also provides franchising and equipment financing. Balboa Capital is known for lending money to businesses that banks normally wouldn’t lend money to. Balboa Capital provides flexible small business loans up to $150,000, the amount you qualify for depends on your business revenue and amount of money in your bank account. Life of their loans range from three months to twenty-four months. Businesses can receive the capital within five days. The APR is not clearly stated on their website. You don’t need to have great credit to be approved for a loan, and once you receive the loan you can use the funds for whatever you want. Who is Balboa Capital Good For? Balboa Capital could be a good choice for businesses who don’t have perfect credit and need a loan. It’s also a good option for businesses who have been turned down for lending from traditional banks. Who is Balboa Capital Not Good For? Balboa Capital wouldn’t be suitable for a business that’s looking for a loan longer than twenty-four months. I am thanking God Almighty for everything he has done for me and my family, My own Story started in 2013 when i was seeking for a loan in one loan firm in Nigeria and i spent all the money i have and i even sell all my property here in Bulgaria including my cars and i did not get the loan. Mrs Clara Dave the woman that later gave me a loan on-line in USA, This woman gave me a loan of $50,000.00 dollars which i invested in my business here in Bulgaria now i have recover all My property back. Thank you very much Mrs Clara Dave and i can not stop thanking you till i tell the all world how good you her. Great article to get detailed information about loan schemes for small businesses.It also tells us various rules that are involved ,when we are apply for a particular loan. Great article to get detailed information about loan schemes for small businesses. Additionally, it tells us various rules that are included, when we are apply for a particular loan. Thanks, for sharing this valuable information with all of us. Yes, I always recommend at least checking out alternative sources of funding. When looking for a loan or type of financing, it’s always a good idea to look at all your options! Well, Its good article, First we think about, Why do you need money now? Knowing what you will do with the money helps determine which type of loan makes the most sense. Knowing how much you need keeps you from borrowing too much or too little. And you can plan your borrowing more strategically. This helps you as a business owner, and it will help you improve your credit. Such a great post. Thank you for sharing this. Will definitely keep the list and share it with other people. I have other things that I keep in mind before finally getting a loan but your suggestions are awesome! It’s like one stop solution for all your needs. The customer can understand process, pros & cons of all top rated companies. I liked it so much, that I have shared URL it to my 6 entrepreneur friends. Thank you for pointing this out, I’ll work on fixing this immediately! Great post! This was quite helpful. Keep up the good work.